A bankruptcy administrator performs similar functions that U.S. trustees perform in the remaining 48 states. Congress established the bankruptcy administrator program in 1986. At one time, all bankruptcy courts used bankruptcy administrators. Now that the U.S. Trustee program has been established, however, the only states that still use bankruptcy administrators are Alabama and North Carolina. The U.S. Trustee program is under the jurisdiction of the U.S. Department of Justice, and U.S. Trustees are appointed by the president of the United States. By contrast, the bankruptcy administrator program is under the jurisdiction of the Administrative Office of the United States Courts, part of the judicial branch. The duties of bankruptcy administrators in Alabama and North Carolina, however, are similar to the duties of U.S. trustees in other states. These duties include appointing a panel of private trustees to serve as bankruptcy trustees in chapter 7 cases, and in some cases, appointing the bankruptcy trustee in Chapter 13 cases. To file for bankruptcy, the debtor must complete a credit counseling course offered by an approved entity. In Alabama and North Carolina, it is the job of the bankruptcy administrator in each judicial district to approve these entities, and to publicize them so that debtors will have access to them. Debtors must also complete a debtor education course before receiving a discharge, and it is the bankruptcy administrator's job to approve and publicize these entities. In a Chapter 7 bankruptcy, the debtor's nonexempt assets may be sold and the proceeds distributed to creditors. 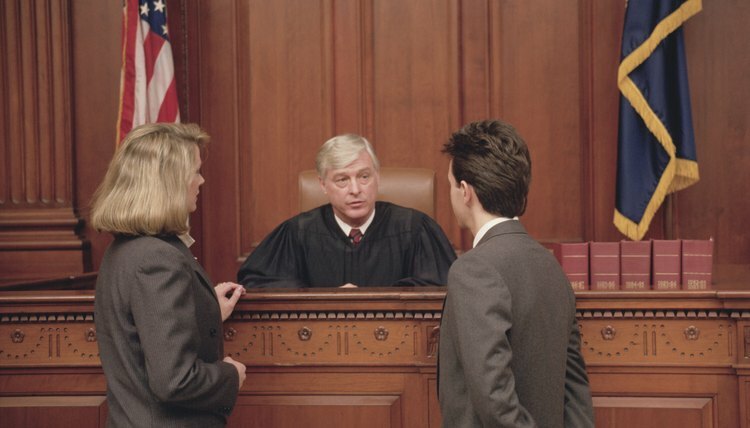 The bankruptcy trustee, appointed by the bankruptcy administrator, is the person who investigates the debtor's finances, collects the debtor's nonexempt assets, sells the assets, collects the proceeds and distributes them to creditors in accordance with the Bankruptcy Code and the direction of the bankruptcy court. The bankruptcy administrator supervises this process. In a Chapter 13 bankruptcy, the debtor repays his debts under a repayment plan approved by the court, and any remaining debts are discharged at the end of the repayment plan. The bankruptcy trustee is appointed by the bankruptcy administrator in Alabama and North Carolina. He examines the repayment plan to make sure it complies with the Bankruptcy Code, receives monthly payments from the debtor and makes sure the debtor makes payments as required. The bankruptcy administrator supervises this process. When supervising bankruptcy cases, the bankruptcy administrator guards against abuses, makes sure that bankruptcy plans comply with the law and monitors the bankruptcy trustee's performance of his duties. He is entitled to raise any issue of bankruptcy law before the bankruptcy court, and he may argue his case on behalf of the public. He is also responsible for monitoring and reporting suspected criminal activity in bankruptcy cases. He is not allowed to provide legal advice. Bankruptcy Law Network: What Is a Bankruptcy Administrator? When a Kansas resident wants a clean financial slate, he may file for bankruptcy protection under Chapter 7 or Chapter 13. Both are forms of individual bankruptcy structured under the federal Bankruptcy Code, but Kansas cases are subject to Kansas’ exemption list and median income level. If you successfully complete your bankruptcy case, you may receive a discharge of your remaining unpaid debts.